A variety of reports and articles relating to the future of vehicles and battery technologies are contained on this page. Note that some resources may require subscriptions. Global Fuel Economy Initiative. The members of this organisation include the International Energy Agency, International Transport Forum, UN Environment Programme and the International Council on Clean Transportation (ICCT). They conclude that vehicles with high levels of hybridisation are not expected to make a significant impact on reducing fuel use in the US prior to 2035.
International Transport Forum (OECD). An analysis that analyses the effective abatement cost for reducing CO2 by comparing EV’s with Advanced ICE vehicles (rather than an average ICE vehicle). It concludes that the effective abatement cost is €670 per tonne of CO2 saved (using the low carbon intensity French electric grid for charging the EV’s). Other articles and reports on electric and hybrid cars, and battery technologies and markets are listed below. TGDaily - Will hybrids survive the onslaught of more efficient gasoline engines? ArcActive and East Penn Manufacturing Co. from the United States have signed a commercial arrangement covering the further development of ArcActive’s carbon fibre electrode technology for lead batteries. Please refer to the press release for further details. In 2017, ArcActive presented its latest performance data from full-scale automotive battery plates utilising ArcActive's AACarbon technology at the Advanced Automotive Battery Conference (San Francisco, USA) and the 17th Asian Battery Conference (Kuala Lumpur, Malaysia). 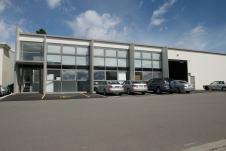 To meet the demands of next phase of development, in December 2014 ArcActive moved into new, larger premises in Hornby, Christchurch.